Does your employer have a matching gift program? Search here to see if your company is listed. The AETN Foundation will NEVER share your information with anyone for any reason. A one time $5 is applied for shipping a thank you gift. Shipping is added to the first draft of a Sustainer pledge and will not appear on subsequent drafts. You may opt out of the shipping charge on the confirmation page. Would you mind answering a few questions for our survey? It will help us better serve you and your information is strictly confidential. What is the highest level of education you have acheived? What are your favorite types of programming on AETN. Would you like to tell us more about what specific programs are your personal favorites? 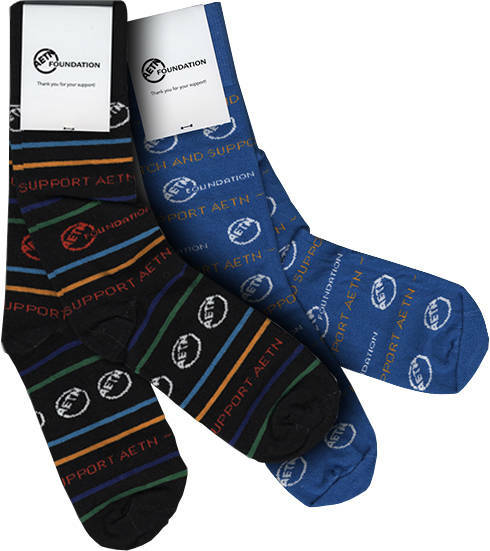 AETN Socks - Love AETN? Then wear your heart on your sleeve - errr, on your feet, we mean! Keep your toes warm and cozy while you show what a savvy television viewer you are. 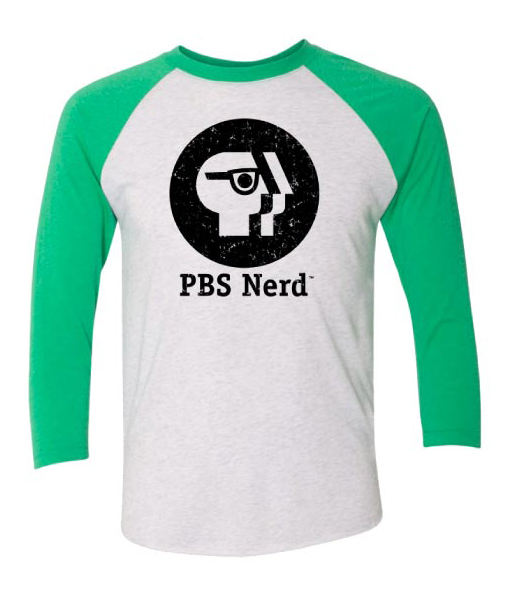 PBS Nerd Teeshirts - Everybody's a nerd for something, but PBS is a nerd for everything! Show your support for all things good and nerdy with a tee that boldly tells the world, "That's right! There's a PBS smarty pants inside this shirt!" AETN Magazine - All donors who give $45 or more ($35 for Seniors and Students) will receive the monthly magazine. AETN Passport - All donors who give $5 monthly or more (that's $60 annually or more) are eligible to access the AETN Passport streaming library of hundreds of programs. (M-F, 8 a.m. - 4:30 p.m.
AETN relies on the financial support of viewers like you to provide funding for our educational, informative and entertaining programming. Donations pay for the general audience programming enjoyed by thousands of viewers all over Arkansas and in surrounding states.